This facial is often referred to as “The French Secret” and produces instant and sustainable results that tone and define the muscles in the face, visibly lifting the skin, creating definition of the jaw-line and cheek bones, lifting the brow and reducing puffiness. Repeated treatments, along with the Biologique product regimen is the organic, natural non-surgical face lift. The treatment helps to diffuse the active ingredients, increases replumping, brightens, and revitalizes the epidermis. New York Magazine has awarded it the title of “Best Lifting Facial Machine”. 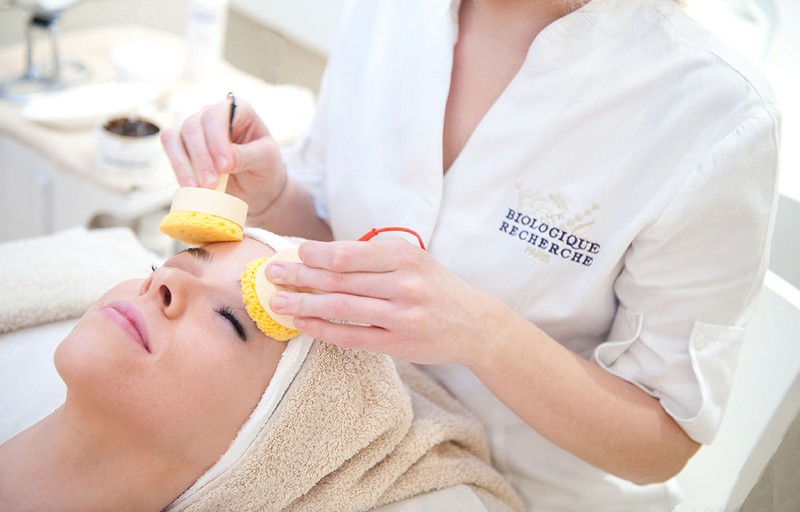 This facial lasts 75 minutes, and is our most popular at LaDeDa Le Salon. Discover what others are raving about and book your facial today!